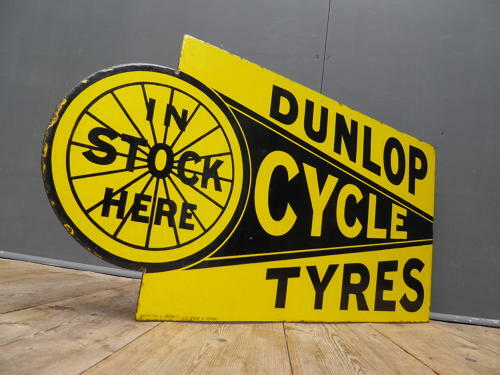 A fantastic vintage enamel advertising sign for Dunlop Cycle Tyres. A truly outstanding example featuring an amazing gloss & depth of colour. Double sided & manufactured by Griffiths & Browett of London of Birmingham & London. A true investment grade collectable & a fantastic display piece. Exceptional condition showing only minor signs of age. Unrestored.